Moody's latest report covers New Zealand, Australia, Canada, and Sweden - with all four countries currently enjoying stable outlooks and 'Aaa' ratings from the credit rating agency. While the report found all four nations had issues that needed addressing, "New Zealand is most exposed due to its economy's heavier reliance on residential construction, the potentially more volatile nature of increased housing demand, households' exposure to interest rate shocks, and significant pressures on housing affordability," said Moody's. When raising its concerns, Moody's mentioned the rapid house price growth experienced in New Zealand, with prices having gone up more than 30 percent in real terms over three years. Despite this huge jump, wage growth has remained moderate as the country comes to grips with higher house price to income and higher debt to income ratios. Population growth and lack of supply in key markets continue to put pressure on the housing market, with any downturn likely to lead to "sizeable spillovers" to the broader economy through the supply chain and impacts on employment and consumption. The situation is not all bad, however, with a housing market downturn unlikely to undermine the countries sovereign credit profile unless it was accompanied by other "long-lasting negative shocks." The credit rating agency also highlighted the high capitalisation levels, conservative business models, and strong liquidity of NZ banks, with the countries banking system rated much higher than other nations who had experienced significant problems: "Although not immune to them, the [NZ, Australian, Canadian and Swedish] banking systems would be relatively resilient to negative shocks that involve a housing correction, thereby limiting the potential fiscal costs of sovereign support to banks," said Moody's. 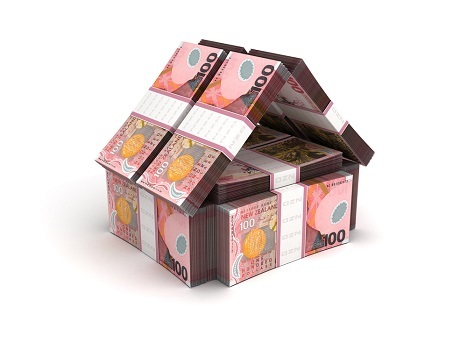 While exposure to residential mortgages constitutes about half the NZ banking system's assets, Moody's suggests this is mitigated by the Reserve Bank enforced restrictions on banks' high loan-to-value ratio (LVR) residential mortgage lending. This situation is also helped by the fact that New Zealand operates under a full-recourse loan regime, making strategic defaults on mortgages less likely than in the US and many other countries. However, despite the existence of "proactive macroprudential measures", New Zealand still faces significant challenges due to record household debt to disposable income ratios and an ongoing disparity between housing supply and demand.